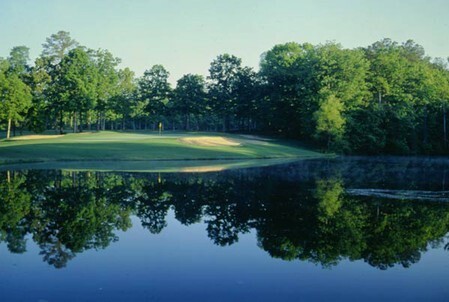 Opened for play in 1976, the Golden Eagle is a proud design of George W. Cobb and his associate John LaFoy. 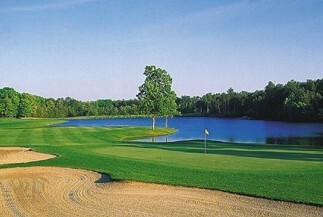 Carved out of the beautiful wooded landscape around a 50-acre lake, the Golden Eagle has many elevation changes and well placed bunkers for all skill levels. 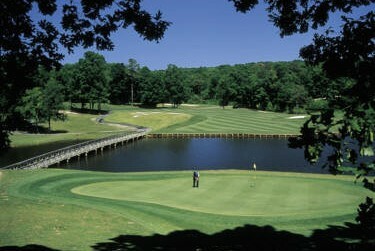 The Bermuda fairways and Bentgrass putting surfaces play to a par of 72. The most interesting holes are the fifth, ninth and eighteenth holes. Good scores on these holes require proper navigation of the courses main water hazards. From the championship tees, the Golden Eagle is 7,020 yards and has a USGA rating of 70.9 and a slope of 126. 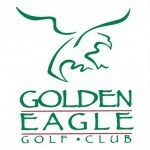 The Golden Eagle has been host to numerous Virginia State Golf Association and local PGA events.